January 17, 2018—The hard-working SDORC board members and volunteers are getting tired! 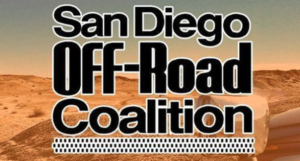 SDORC plans an off-road expo this year, and in order to also put on another of our popular Fun Runs we need someone to step up and volunteer to serve as Fun Run Chair. This is an exciting event and an exciting and challenging position. But don’t worry, you will have plenty of help. The chair of our previous few Fun Runs, Audrey Mason, will be happy to guide and help you along the way. If you think you might be interested and would like more details please send an email to info@sdorc.org.